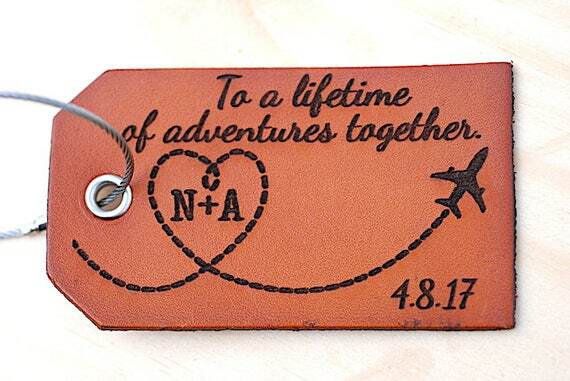 The following post contains annoyingly cute ideas for travel-themed Valentine’s Day gifts. I apologize in advance. Sooo, I’m gonna give you ample time to freak out here, folks – Valentine’s Day is coming up in just over 2 weeks, and odds are (unless you’re a freaking superhuman), you still don’t have a gift. Trust me when I say this, I am a disgustingly romantic person. Like, as much as I enjoy making fun of cliches and cheesy BS, I am also that chick in the corner scrapbooking and writing thoughtful notes and crying her eyes out watching the Notebook for the millionth time. So, yeah – anyways. Here’s a Valentine’s Day gift guide, travel-inspired of course. 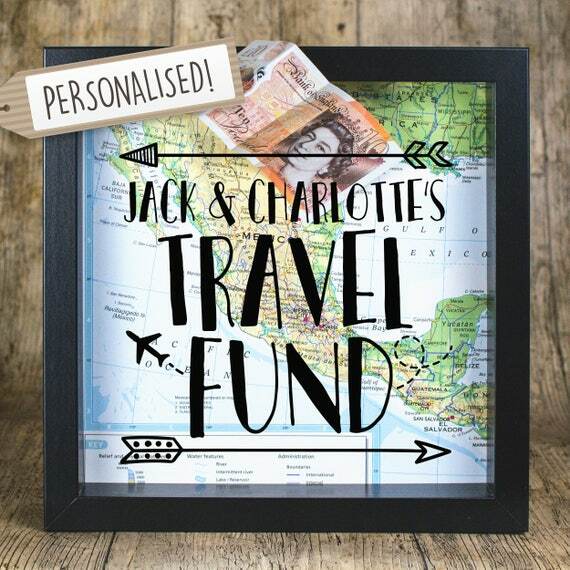 I think a lot of people struggle with thinking up travel-themed gifts for their sweetheart, APART from actual trips… and I mean, who has the cash flow for that, right? OK wait – gotta eat my words – once, I saw this guy on my Facebook had made his girlfriend a “blank plane ticket” as in like, he drew out a freaking plane ticket, put the destination to “ANYWHERE YOU WANT, BABE xoxoxo” and under Special Notes said something like “I love you forever princess bbcakesbae”. I almost threw up all over my Macbook. FYI I’ve designed a set of FREE printable travel-themed Valentines here too. Would go perfect with these gifts… just sayin’! Click here to check them out. Yes, this map really does say “where our love has taken us”. I know this gift probably reminds you of that couple on Facebook that just needs to chill, but guys, it’s SO customizable! The names… the locations… it’d be a crime not to order one, right? Someone hold me back before I press that buy button. For real, it’s less than $20 too. *abandons all self control* Click here to scope out options and reviews. I mean sure, are these customized luggage tags going to induce eye rolls from those around you? Probably, but you can’t deny they’re pretty darn cute… and on the plus side, it’ll probably deter people from taking your luggage. #ThievesCringeToo Click here to check reviews and pricing. Your passport is almost as valuable as your love, so you better protect it like your first born. As far as matchy matchy goes, I find these two pretty tasteful and minimalistically extra (if that’s even a thing). You can get them customized with your names too, so that’s pretty much me saying “take my money!” DO NOTE THOUGH: The processing times for these tend to be 1-2 weeks so be sure to order one ASAP to ensure it arrives before Valentine’s Day. Click here to check reviews and prices. 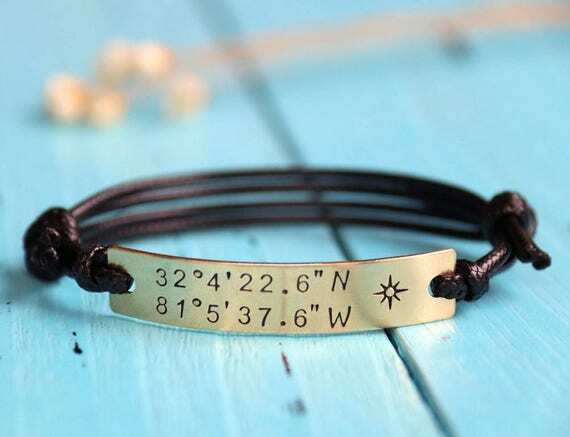 Well anyways, these customized coordinate bracelets allow you to wear important coordinates and dates right on your wrist, enabling you to recall details of your relationship with the precision of a serial killer. Thoughtful Valentine’s gift to the max. PS: Apparently they’re ready to ship within 3-4 days so perfect if you’re low-key panicking for a thoughtful gift last minute 😉 Check availability and prices here. *holding back tears* Up is one of my favourite movies of all time so naturally I think this is one of the greatest Valentine’s Day gifts money could buy. For extra tear-jerking brownie points, fill this bad boy up with memories, photos and cheesy quotes. The tears will ROLL. I hope you’re good at awkwardly holding people while they cry. Click here to snag one for yourself (or read the great reviews). If you’re a couple that lives to travel, definitely get yourselves one of these personalized hipster “piggy banks” to get you excited for those future trips. All the better if it’s pre-stuffed with cash, but hey, yenno, don’t let me tell you how to run your relationship… Click here to check reviews/prices. Okay, I did say only “slightly” more practical… but am I really strange for thinking that passport covers DO make great gifts? I feel like they’re the perfect thing for Valentine’s – just thoughtful enough but useful too. 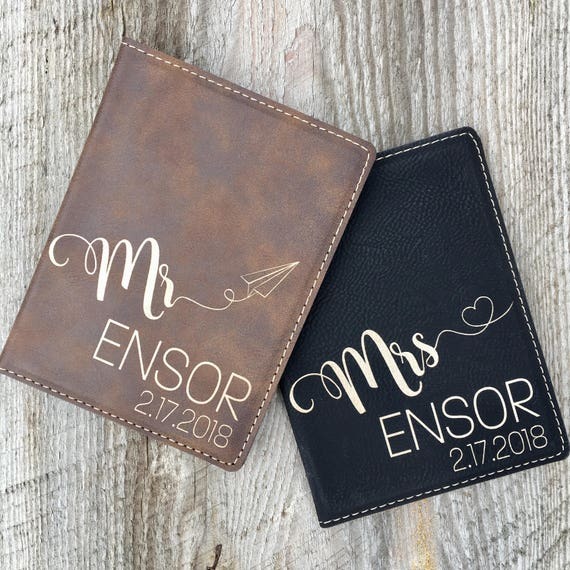 In my opinion, these ones below strike the perfect romantic middle ground between “monogrammed TOGETHER FOREVER + anniversary dates” passport covers as mentioned above and like, a can of Pringles (which honestly I would not mind as a Valentine’s gift). Click here to check reviews and prices on these. Sorry, this one was a joke. I mean, not that a headphone splitter isn’t a great idea… I mean having one would be great for sitting side by side on a plane, bus or train while binging on Netflix in transit, but please don’t get a heart-shaped one. It’s just too cringey (even for me). You can get a lot of cool (non-cringey) headphone splitters online for cheap though! Here are a bunch of options. If you’re dating a coffee snob, *hugs* I’m sorry for what you’ve been through. That said, here’s a lil something to make you feel better – the perfect Valentine’s Day gift idea! This coffee set features samples from all around the world, so it’s ideal for that worldly caffeine addict in your life. And pssst, because we’re friends, here’s an extra lame pro tip for you: accompany this gift with a cute Valentine’s Day card that says “we’re meant to bean” or “you’re brew-tiful” or “I wanted to espress-o my love for you”. I could do this all day, guys. Someone hand me a trophy. Grab this epic sampler here from Amazon. Is your sweetheart not into coffee? No problemo. Why not do a worldwide tea sampler instead for the… hot-tea in your life? In all seriousness though, what a great gift! You can get it off Amazon here. 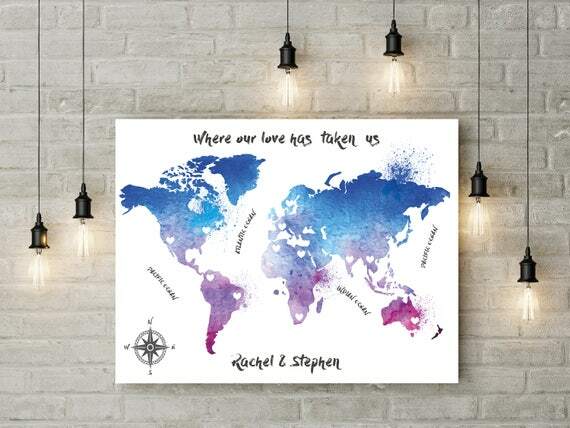 Ahh the quintessential “travel lovers” gift – a map where you scratch off the countries you’ve visited! 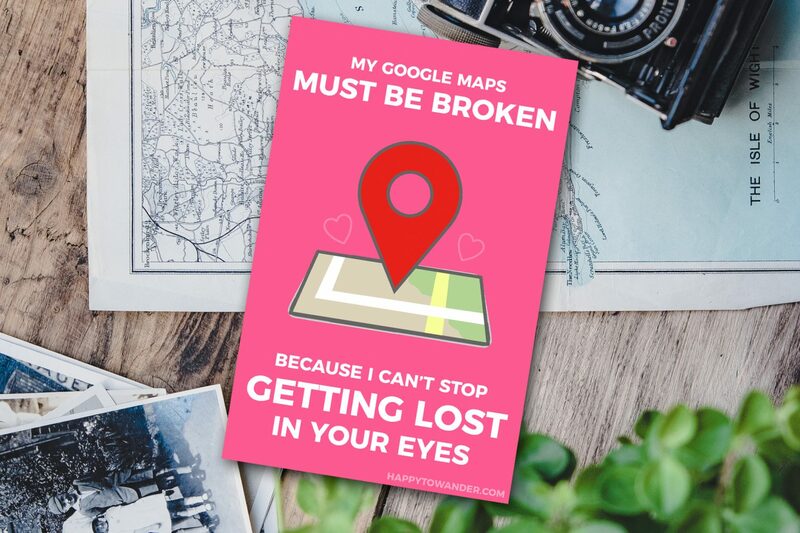 I love this as a Valentine’s Day gift because it’s thoughtful, but not overly mushy and seriously a must-have for every traveler/low-key scratch card addict out there. Warning: owning one of these will inevitably make your significant other eager to visit Russia. It’s just such a big slab to scratch. Get your map here. Fact: most travelers are stupidly drawn to maps. Map prints, globes, you name it, we’ve pinned it. 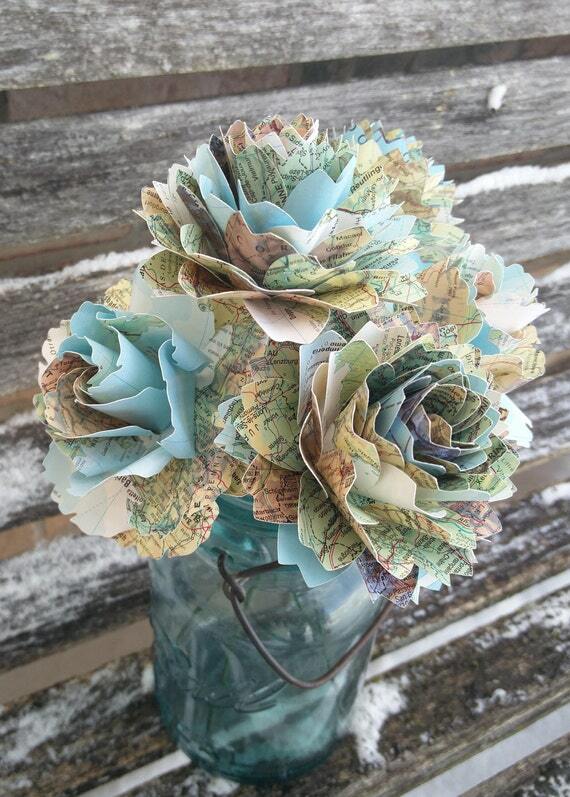 That’s precisely what makes this map rose bouquet SUCH a genius Valentine’s Day gift for that special traveler in your life. Funnily enough, this thing is actually cheaper than most ACTUAL bouquets around Valentine’s Day. Go figure. Order yours ASAP to ensure it comes on time! Check out prices and reviews here. The best part of Valentine’s Day for me is (of course) the day after, when all the chocolates go on mega sale and I’m just sitting on a throne of ‘50% off’ gluttony. The lesson here is that chocolate is always a good idea, all the better when you get loads of it. That’s what makes this chocolate passport set from Trader Joe’s SUCH a perfect travel-inspired Valentine’s Day gift. Check prices and reviews here. Um, quite possibly the loveliest, daintiest and prettiest travel necklace I’ve ever seen. Am I just putting this on the list because of how badly I want it? Maybe. Is this me subtly shouting at you all to message the link to my boyfriend? Could be that too. Regardless, here is a stupidly beautiful necklace (and perfect Valentine’s Day gift). Click here to snag one of the last ones! Give me a quick second to squeal over how cute this is! Okay, thanks for your patience. Now back to the gift idea… I mean, if you’re not gonna get her some nice jewelry, why not at least get her a box to hold the stuff her exes got her she already has. I love this travel jewelry box! It’s SO cute and ridiculously practical too. I mean, after witnessing the premature death of countless shiny necklaces in my luggage this year, I’m all for anything that keeps the goods safe. Check out prices and reviews here. 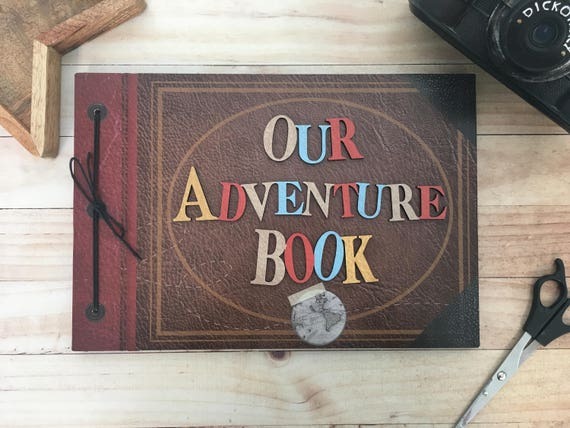 Most travelers would love any kind of travel journal, but why not make this Valentine’s Day extra special by gifting a travelogue on steroids, AKA this one right here from Amazon? It’s filled with scratch map pages and all sorts of cool stuff that will undoubtedly win you brownie points for at least the next year. The farther we get with this list, the more I’m realizing how I’m pretty much just projecting my wish list out there for the whole Internet to see… but guys, a travel-themed colouring book! Does it get any cuter? Pair this gift with a nice set of colouring pencils and you’ve got yourself a winner. Last I checked, stock was running low though so be sure to check out prices and availability here. Just when I thought scratch maps had been done to death, I find a new one that I really really like. This beer cap scratch map gets you to scratch off countries that you’ve had beers from, and there’s even a cool spot on the bottom for you to prop up your bottle caps. My boyfriend literally has a tub of bottle caps he refuses to throw away, so if your guy is anything like mine, a gift like this would be perfect. Read reviews and check prices here. You can never go wrong with a nice weekend bag as a Valentine’s Day gift. I love this one off Amazon. It ticks off all the boxes – affordable, stylish and practical. Click here to check prices and reviews. I don’t know what it is about watches that get dudes so obsessed, but most of the men I’ve encountered have at least some kind of “thing” for watches. If your guy is one such man, check out this cool wooden watch with a map on it. It has awesome reviews and (at least to me) looks fly as heck. (then again, I’m a pretty lame person, so who knows). Check reviews and prices here. Combining two famous quotes here, “life is like a box of chocolates” and “the way to a man’s heart is through his stomach”, it seems pretty clear to me that a set of wordly chocolate bars = the perfect Valentine’s Day gift. 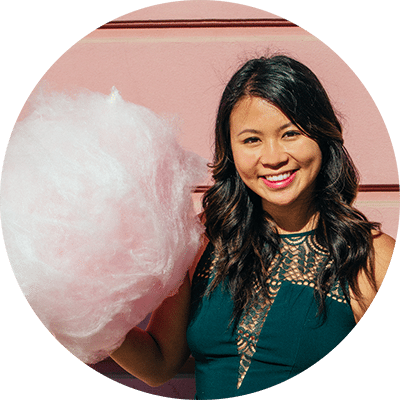 Get some sweeties for your sweetie by checking this awesome set out here. Last but not least, I feel this final gift needs to be accompanied by a manly grunt of sorts. After all, what better gift is there than the gift of a lush AF moustache? Help your man channel his inner Tom Selleck with this super stylish and compact grooming kit, perfect for honing that ‘stache while adventuring around the globe. Check out the price and reviews here. What a great list! I actually have a few of those things. 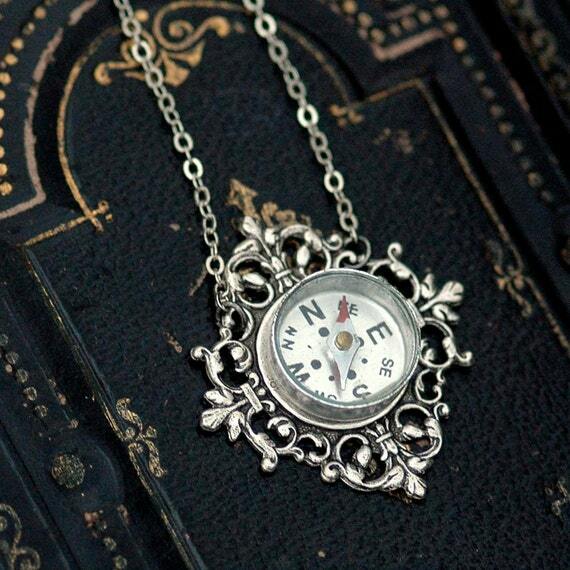 I really love that compass necklace. Haha no way – that’s awesome 🙂 I love that one too! might just have to start dropping some hints for next year! Haha love the title of this post. Some of them would make pretty awesome gifts, not cringeworthy at all! Glad you like them!! <3 Thanks for reading! Awww they’re all so adorably cute indeed!! Would buy them all, honestly <3 Amazing list!! Haha or maybe just get them for yourself 😉 Glad you like them too and I’m not alone in my dorky sense of humour! Isn’t it adorable?! I want one too hahah. My wishlist is getting way too long these days.